Self-care simply refers to any acts devoted to supporting your mental, physical, and/or emotional well being. Acne obviously affects the physical part of us, but do you know how this skin condition can affect the other areas of our lives? Acne has been linked to depression, anxiety and low self-esteem among many, especially among teens and those with severe or chronic symptoms. Because acne affects more than just our skin, it’s important that we give our whole selves some extra love and attention from time to time. Acne is a usually the result of a hormonal imbalance, which goes on to affect the sebaceous glands. These glands produce sebum, or oil, which travels along the hair follicle, or pore, to protect and nourish the skin. Some imbalanced hormones can trigger the sebaceous glands to produce more sebum than necessary, which becomes clogged within the pore on its way to the surface. When combined with dead skin cells, bacteria forms, which sparks an inflammatory reaction, resulting in symptoms called pimples. What oils can I use on my skin? Do they even help? A: A few years ago, oil-free moisturizers were all the rage. People thought that oily skin would break out if more oil were topically applied. I remember seeing lots of skin that was dehydrated with red inflamed breakouts from this method of hydration. Certain oils can be your friends! It is just important that you use the right oil for your skin, because the wrong one can absolutely lead to more breakouts, while the right one can balance your sebum, making it less hard, sticky and pore clogging. 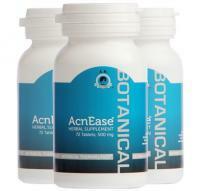 If you have been dealing with acne for any amount of time, you probably feel like you’ve heard of, and tried, just about every tonic, treatment and remedy under the sun, but there’s one you probably haven’t heard much about, and it’s a dietary supplement worth knowing. 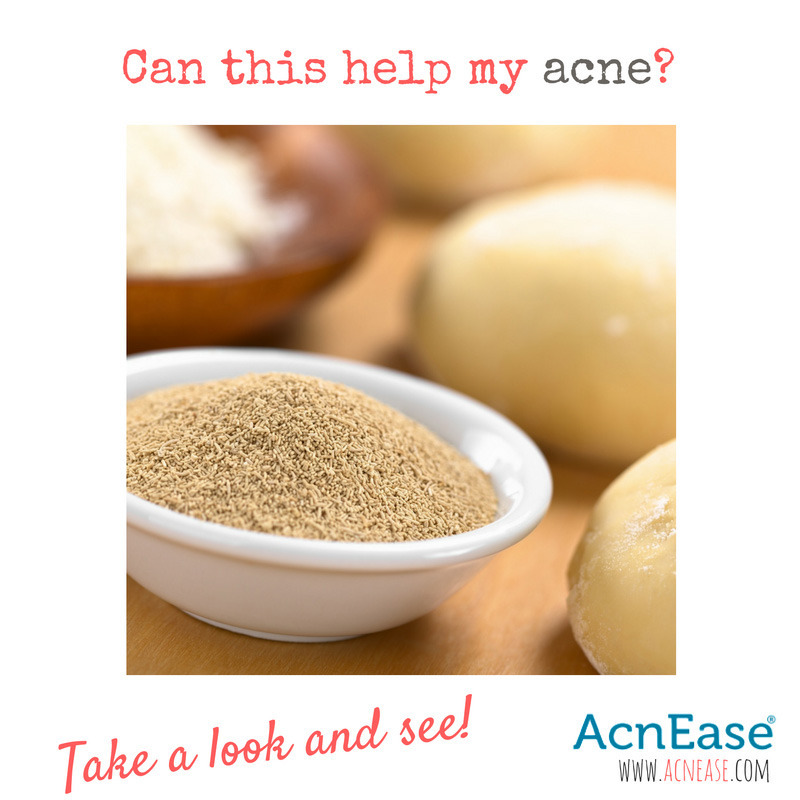 Brewer’s yeast is most known for it’s role in making beer, but did you know it can also work to help keep skin healthy and acne-free? Cooler days and longer nights can only mean one thing - Fall is in full swing! 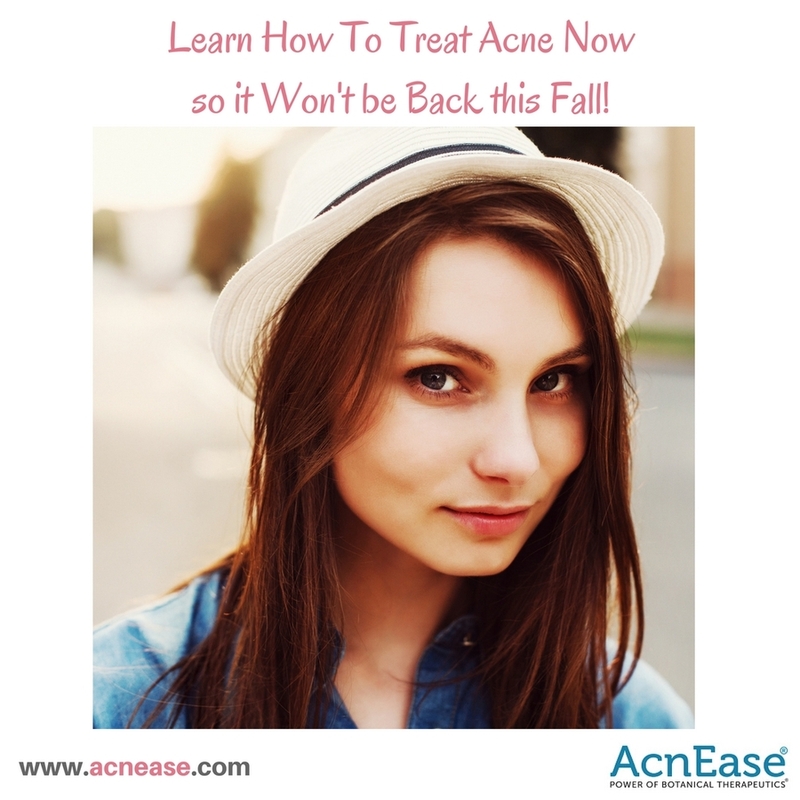 For some, this shift in seasons is a welcome departure from the scorching summer months, but for anyone with acne, this time of year can make for a whole new set of troubles and concerns. Acne is usually associated with being a teen “problem,” but did you know that the average age of someone with acne is 26? 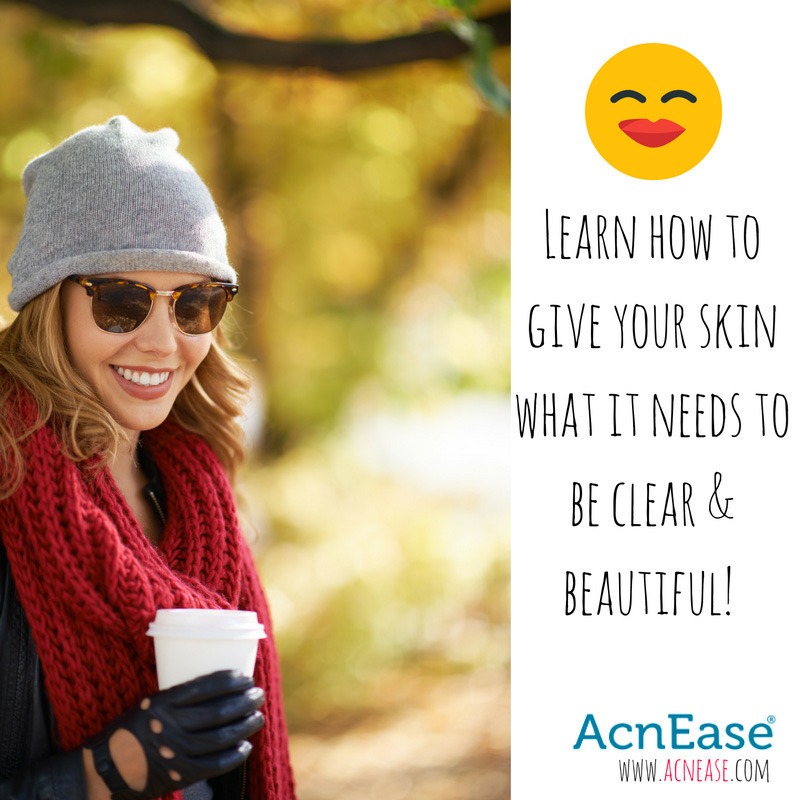 If you’ve tried everything to treat your adult acne, or are just experiencing acne for the first time and want to avoid the guessing game, read on to learn what you’re working with, and how to really treat the problem. 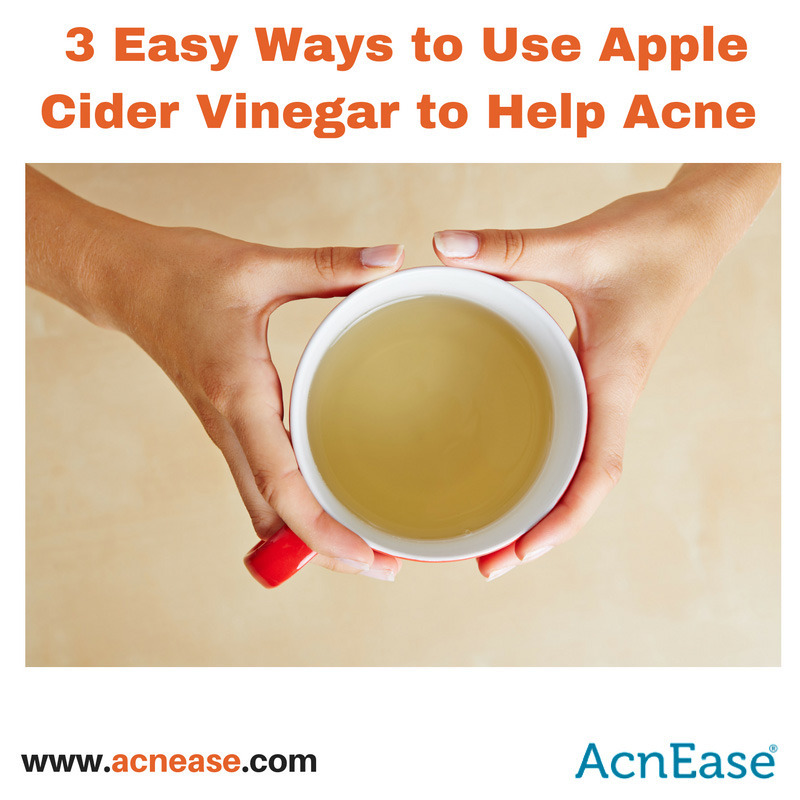 When it comes to the benefits apple cider vinegar can have on acne-prone skin, the list is practically endless! It can naturally detoxify the body of harmful free radicals by flushing toxins from within, exfoliate dead skin cells on the surface, and contains manganese, which helps the body metabolize vitamins, and protects cells against damage caused by free radicals. Even digesting apple cider vinegar has its benefits, as the process produces malic acid, naturally rich in antibacterial, antifungal and antiviral properties, which are all essential steps in fighting acne! 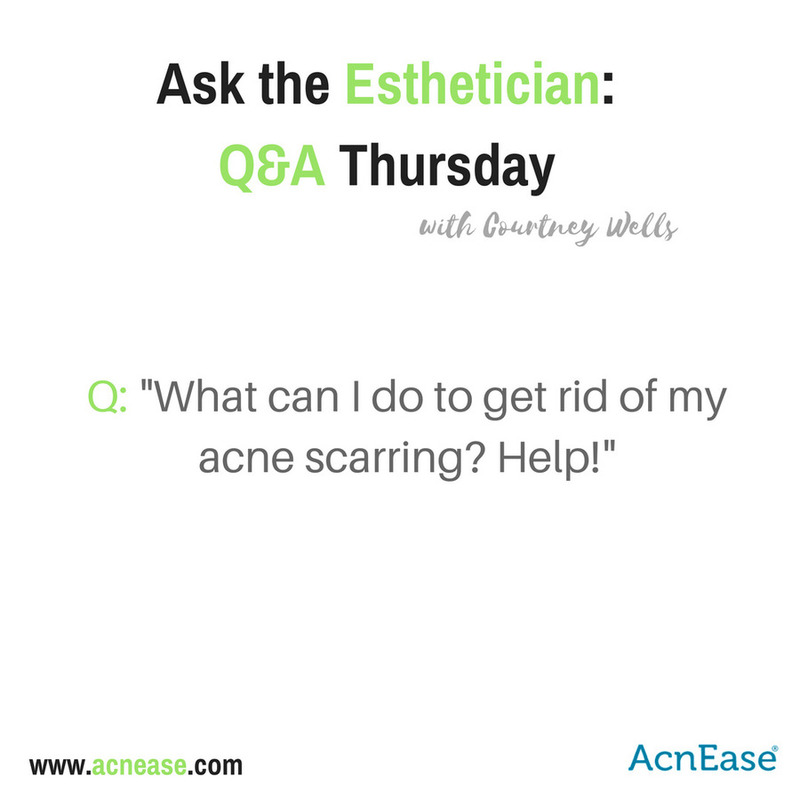 Q: What are the best ways to deal with acne scarring? 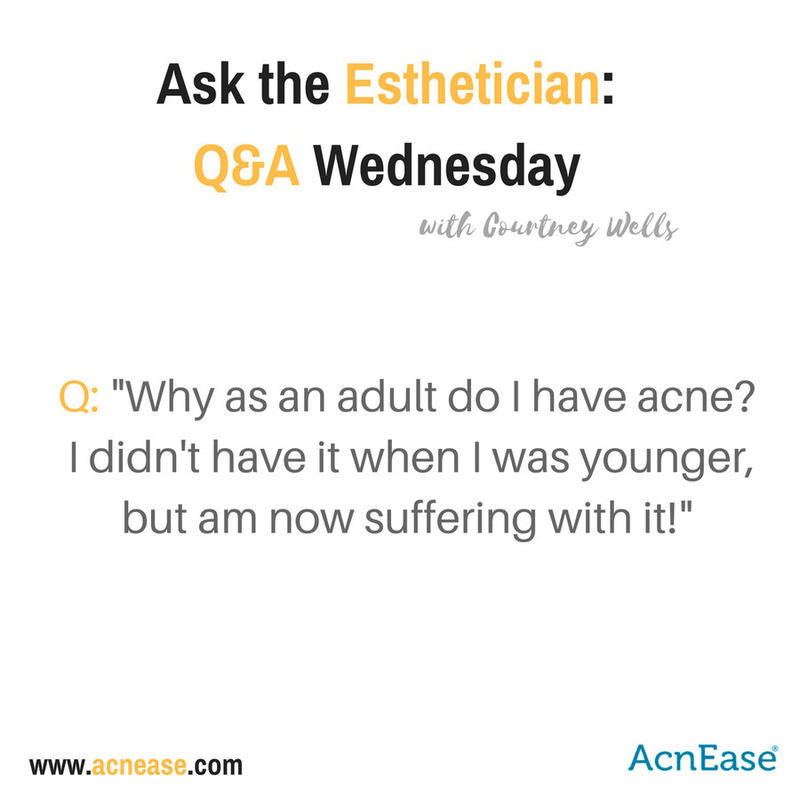 A: One of the most frustrating parts of acne are the scars that it leaves behind. A pimple that only lasts a week can leave its impression on your skin for weeks, months or even- forever. There is number of ways to deal with scars – some that can start even when you still have acne and others that are only suitable after your skin improves. Acne is a disease which affects the skin, and is the most common skin condition affecting people of all ages. Caused by a hormonal imbalance which triggers an excessive amount of sebum, or skin oil, to be produced by the sebaceous glands, acne symptoms appear on the surface as red, swollen bumps often referred to as pimples. Adult acne can hit you like a train out of nowhere. Lots of people suffer from acne as adults, even if they had perfectly clear skin throughout their teenage years. Acne in younger people is, in a sense, easier to understand, because it is linked to hormonal changes and an excess of oil production from the sebaceous glands. 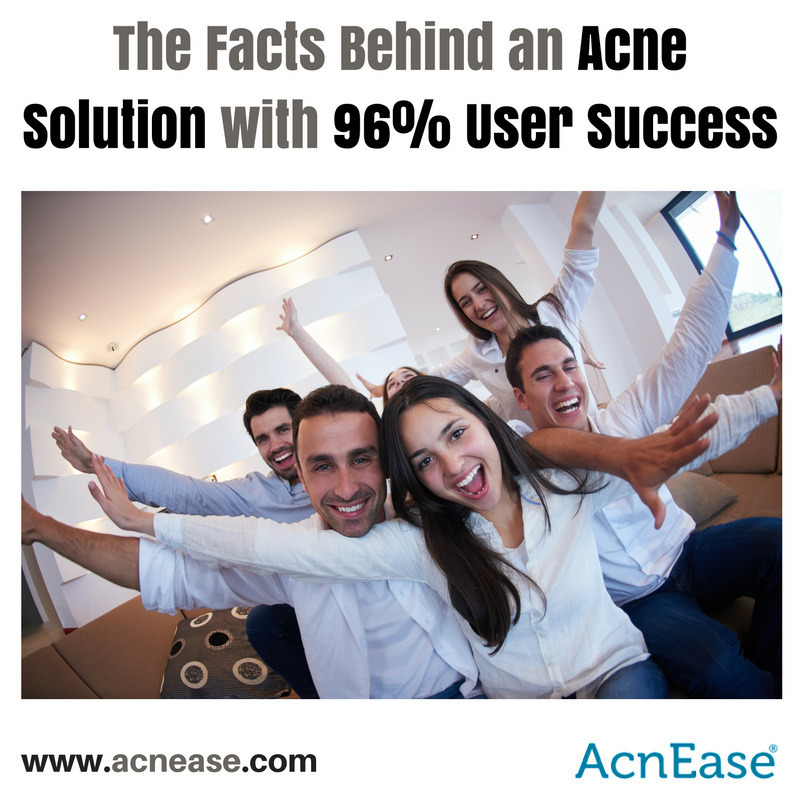 Acne in adults is much more complicated because, yes even though it comes from a hormonal imbalance, there are more sources to contend with. 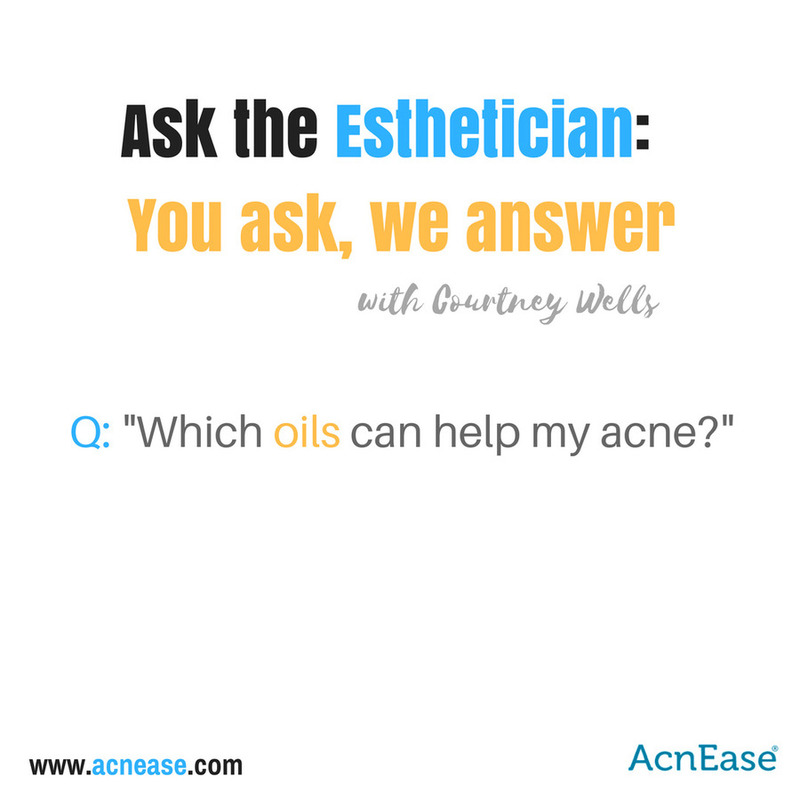 Overnight spot treatments, age-defying serums, pore-reducing tonics - In such a consumer-driven culture, it isn’t uncommon to witness claims that promise nothing short of a miracle to eliminate your acne. Designed to encourage buyers to pluck a product off the shelf in an instant, many of these topical treatments are wrapped in packaging ripe with buzzwords, to instill a sense of trust, wonder and hope that this magic bottle might possibly be the answer to their problems! 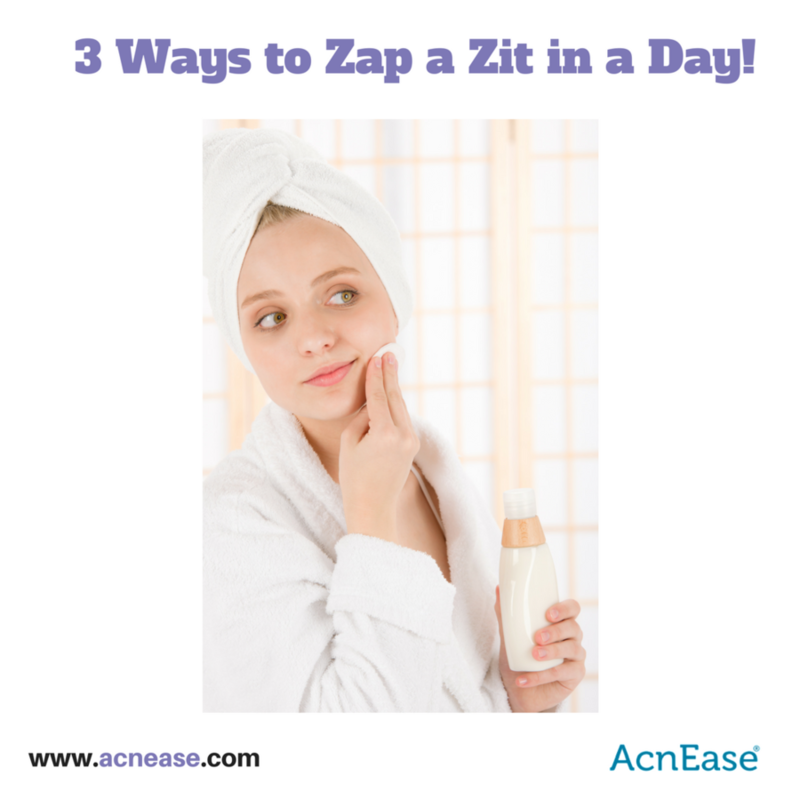 Additionally, many products are designed for teens so it’s impossible to decipher how to treat adult acne in a world full of teen acne products. For anyone with acne, the universal question still remains - how do I get rid of it?! We all want to get rid of our pesky pimples ASAP, but in order to understand the best way to treat the problem, it’s important to understand the cause of our concern. The term acne is generally used to describe those red or white swollen bumps that appear on our skin, but those are actually just the symptoms of acne, which is technically a skin disease. 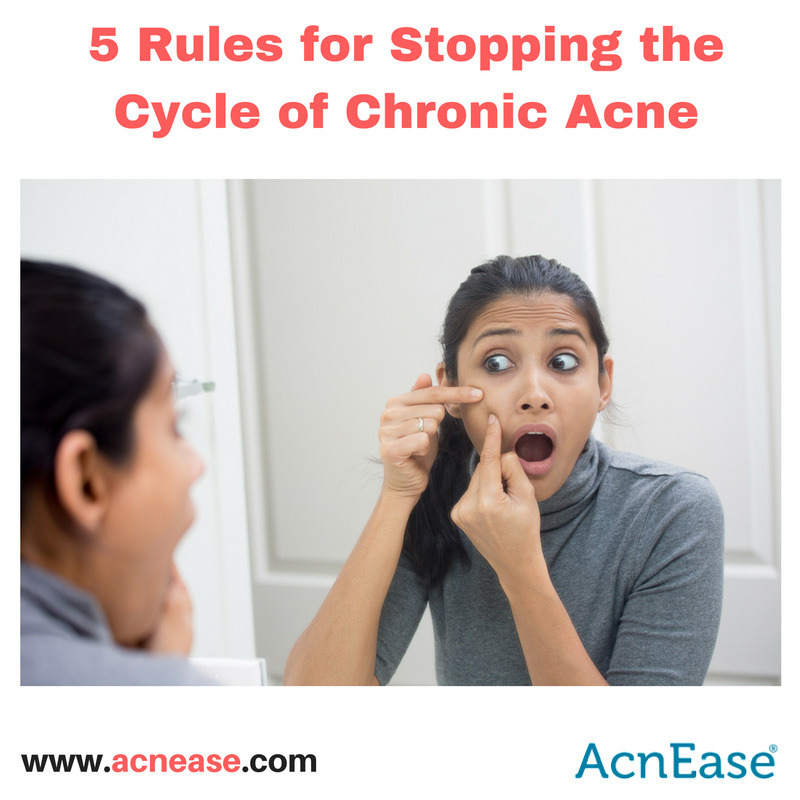 Usually caused by a hormonal imbalance, acne can affect anyone at any age, though some people are more genetically predisposed to experience acne than others. 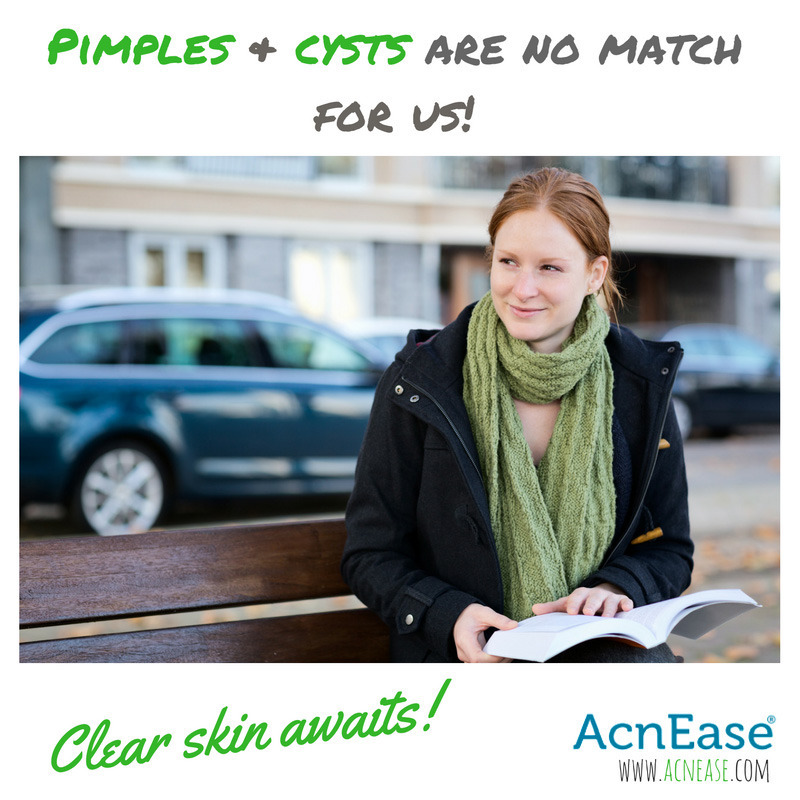 Acne can appear in a variety of forms, from whiteheads to cysts, each requiring their own level of care, and approach to treatment. 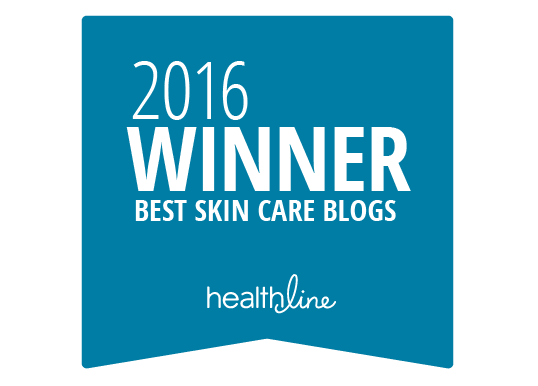 Herborium Group, Inc. is excited to announce that the AcnEase® acne skincare treatment blog has been named, for the second consecutive year, one of the Best Skincare Blogs of 2016 by the distinguished Healthline.com. Joining the ranks of Allure’s Daily Beauty Reporter, the AcnEase blog was selected and praised by Healthline as a top blog providing high quality information and education to consumers that empower them to make informed, safe and effective skincare choices. The start of a new school year can feel like a clean slate for a lot of people. New teachers, new friends and new opportunities all present themselves without fail, but for some who are self-conscious about their acne, back to school season can be a stressful and triggering time. 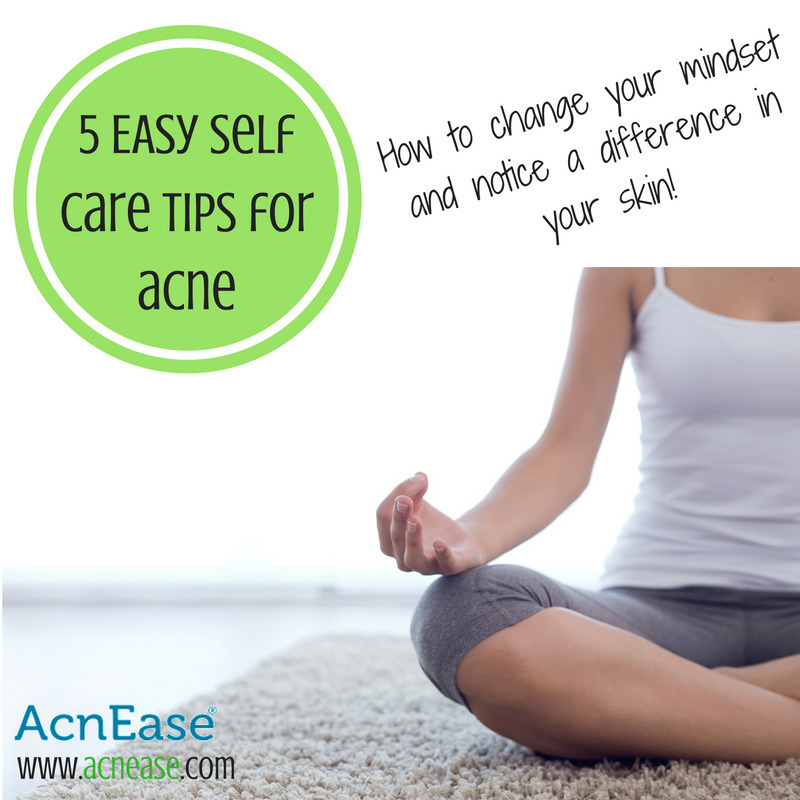 If you live in an area of the world that experiences seasonal changes, you probably know this situation all too well: you find a nice solution to help keep your acne symptoms at bay, and just as you finally start to notice results, the weather changes and you have to start all over again with some entirely new routine! And the more severe the acne, the worse it can be. While treating acne can come with its own source of headaches, it doesn’t have to be a devastating ordeal each time the climates change. By taking just a few preventative measures, you can treat your skin NOW, and set yourself up for a flawless fall face at the same time! Here are just a few of our favorite tips to help take your summer acne treatment to fall without a hitch!